India’s booming cities could face a situation like South Africa’s Cape Town did earlier this year if it does not put in place proper water management plans. The country’s urban centres are hitting the headlines for water rationing months before the lean period. Not only the quantity but the quality of water is under stress. Ninety per cent of our major surface water sources are gone. The recent Central Pollution Control Board (CPCB) report, along with analyses from different state pollution monitoring agencies, confirms this. In 2015, a report by non-profit Water Aid, based on the data from the Union Ministry of Urban Development, the 2011 Census of India and the CPCB, had stated that 80 per cent of India’s surface water is polluted. The report holds domestic sewerage, inadequate sanitation facilities, poor septage management and the near-absence of sanitation and wastewater policy frameworks to be responsible for this. On the other hand, groundwater has mostly been considered as a reliable and safe source of water, protected from surface contamination by geological filters that remove pollutants from the water, which percolates through the soil, opines Kunjlata Lal, Assistant Professor Department of Education, Ranchi Women's College, Ranchi, Jharkhand. Still, ground water is not absolutely free from all pollutants. Our rivers are dying. So are the ecosystems that feed them. The rivers are not only affected by the pollution load but also diversion of flows, disappearing biodiversity, sand mining and loss of catchments. Other open water bodies like lakes, ponds or tanks are either encroached or a receptacle of sewage and waste dumping. The news of toxic foam from the Bellandur and Vathur lakes of Bengaluru has hit the headlines several times in the recent past due to untreated sewage and industrial effluents entering into them. Assam’s Deepor Beel, like many other lakes, has been scrutinised by the National Green Tribunal (NGT) for being made a solid waste dump and for being rampantly encroached. Out of India’s 36 states and union territories, 31 have polluted river stretches. 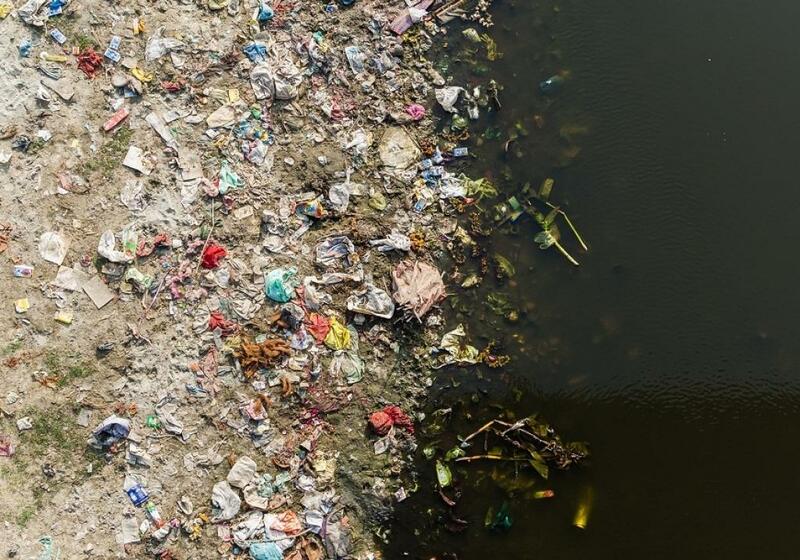 The state of Maharashtra has the highest number of polluted river stretches at 53, followed by Assam, Madhya Pradesh, Kerala, Gujarat, Odisha, West Bengal, Karnataka, Uttar Pradesh, Goa, Uttarakhand, Mizoram, Manipur, Jammu & Kashmir, Telangana, Meghalaya, Jharkhand, Himachal Pradesh, Tripura, Tamil Nadu, Nagaland, Bihar, Chhattisgarh, Andhra Pradesh, Sikkim, Punjab, Rajasthan, Puducherry, Haryana and Delhi. The last report published by CPCB in 2015 records 302 polluted stretches on 275 rivers. But the 2018 report talks of 351 polluted stretches on 323 rivers. In the last three years, the number of critically-polluted stretches where the water quality is very poor has come to around 45. According to the CPCB, the quality of discharged treated waste is “very poor” when Biological Oxygen Demand or BOD (a parameter to measure pollution) is over 30 mg/l. Anything exceeding this value has the poorest quality as per the CPCB. The Ganga, India’s national river, is right now the focus of debate. The pollution levels recorded across years put a question mark on the efforts shown in cleaning the stretches. In August this year, the NGT, which is closely watching the progress of Ganga cleaning programmes asked the CPCB to mark on Ganga, stretches fit for bathing and drinking. The Board came up with a map which showed water in the main stretch of the river as being highly unfit in quality. The Yamuna, the Ganga’s largest tributary, has shown no improvement in water quality in the last three years—post the river cleaning programmes that were launched under the Bharatiya Janata Party, which had termed the cleaning of the Gangetic Basin as a priority in their agenda. Despite several Supreme Court and NGT orders, almost the entire stretch of the Yamuna in Delhi continues to be severely polluted. Except Palla and Surghat (downstream from Wazirabad), the river is dead even in the post-monsoon period. Now, all eyes are on two interventions—the implementation of the NGT’s “Mailey Se Nirmal Yamuna” and the laying of interceptor sewage lines along Delhi’s three biggest drains, likely to be completed by January 2019. With the pollution of surface water, groundwater has emerged as the primary democratic water source and poverty reduction tool, says Sudhir Kumar Srivastava, CPCB scientist. Due to its low capital cost, it is the most preferred source of water in India, he adds. Generally, groundwater should get less contaminated when compared to surface water but in our country, a variety of land- and water-based human activities are causing pollution to groundwater. Its over-exploitation is causing an increase in contaminants in certain cases and sometimes, unscientific methods of extraction may itself cause an increase in contaminants in groundwater. The major issues of quality in groundwater are related to salinity, Chloride, Flouride, Nitrate, Iron and Arsenic. Can contaminated groundwater be cleaned? The question is difficult. For example, research has shown that the levels of fluorides, arsenic, salinity/hardness can be reduced on the principle of dilution of groundwater by rainwater. The issue here is that strong recharge schemes or policies have to be implemented on a war footing. “A Master Plan for Artificial Recharge of Groundwater” has been developed by the Central Ground Water Board in 2013. According to this plan, around 85,565 Million Cubic Metres will be recharged in rural and urban areas in a phased manner for ten years. Technically feasible methods to clean polluted water often do not exist due to highly toxic substances in trade effluents, as seen in a case in Rajasthan where a sulphuric acid manufacturing unit rendered the drinking water source in 22 villages useless. Finding enough freshwater for replenishment was also a problem there. In the Indian context, it is not economically viable to clean aquifers explains an article by M Dinesh Kumar and Tushaar Shah published in 2006. The cost of cleaning the aquifer in the Rajasthan case was estimated to be Rs 40 crore, say the authors. Thus, polluted surface and groundwater is pushing India towards a dark future. The absence of proper implementation of water conservation measures is making the situation grave. If the implementation of proper water management plans does not take place, all the cities of India will soon face Day Zero.